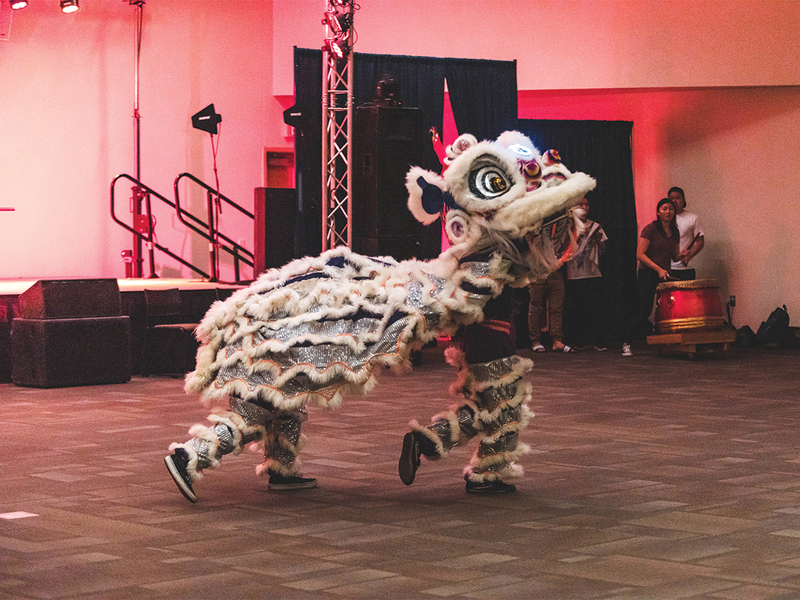 On the night of Jan. 28, organizations under Asian Pacific Student Programs (APSP) gathered together to participate in the annual Lunar New Year (LNY) festivities. The celebration, honoring 2019 as the Year of the Pig, was held in HUB 302. LNY is a grand procession that celebrates family and the practice of blessings and good fortune in the New Year. Usually, there are traditional dishes at the festivities such as nian gao (a sticky cake of sorts), luo bo gao (turnip cake), moon cake, a sweet and savory pastry with salted egg yolk and much more. And of course, elders pass along red envelopes to grandchildren to ensure that the young experience good fortune in the upcoming year. Throughout the night, performers from groups such as Senryu Taiko’s Japanese drum ensemble and Hallyu at UCR’s Korean dance group performed on stage and participated in mini games to win APSP prizes. 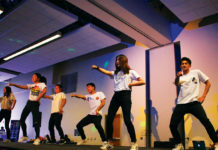 Katipunan provided a preview of their upcoming 30th annual Philippine Cultural Night, and Oceania’s Pacific Islander dance ensemble performed traditional choreography routines. The main attraction of the night was DJ Manila Killa, a Philippines-born music producer based in Washington, D.C. and UCR alumnus of Asian Pacific heritage. One of the most iconic performances of the night was Vietnamese Student Association’s (VSA) Vietnamese Dragon dance. Two masked dancers, with dragon-feathered legs, pranced around the room carrying a dragon head. A bright blue neon light shone from the forehead of the dragon as bright fire-red ears flopped back and forth and googly dragon eyes blink and fluttered. Intricate wavy dragon scales and feathers resembled the elegance of the dragon and the passionate fierceness of the celebratory dragon dance. Grace and strength shown through as the dragon dancers performed acrobatic moves and body positioning. Ross Santos, fourth-year political science major and president of Katipunan, exclaimed, “LNY is an opportunity to come out and support each other (as organizations) as a whole body. Being here in solidarity really embodies the four pillars of Katipunan: social, academic, community and cultural. Us being here today gives Asian-American students solace to embrace their culture.” Representing an event such as APSP’s Lunar New Year on campus showed the diversity of UCR’s Asian-American and Pacific Islander community and its willingness to embrace all cultures and minorities. 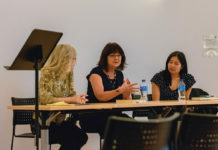 The LNY event centered on cultural pride for Asian-American students. Samuel Liu, a third-year computer science and business major and Chinese Student Association (CSA) internal vice president, stresses, “APSP’s LNY festival celebrates the remembrance of LNY for people that may not know about it or even Asian-Americans whose families are whitewashed and were raised separate from the Asian culture. This festival is all about family and remembering what it means to be an Asian-American.” Liu further explained that LNY is to Asians what Christmas may be to Christians, and stressed the importance of keeping this culture alive, especially in CSA with their multitude of events where they may bring traditional dishes such as tang yuan, Chinese rice balls. However, there is always room for improvement. 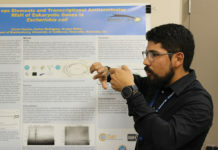 Despite the success of such an event, Jordan Hom, third-year theatre and film production major, emphasized, “I thought it would be more interactive, instead of just having people sit around. I expected authentic cultural dishes. Sure, there were performances, but not all were representative of my Asian culture. It just didn’t feel like a LNY event I would be excited for.” Jordan believes that as a culturally diverse campus, it should strive to perfect the welcomeness of all ethnicities, and that means accepting criticism and working toward a common goal. All in all, LNY festival not only celebrated the Year of the Pig, but also embraced Asian culture and unity among a variety of ethnicities from Vietnamese to Chinese to Filipino. It was a great moment for individuals to accept their Asian-American roots and proudly express these cultures on campus. Other future APSP events include Unity Hour, GenerAsian WomXn Conference, APSP Round table, etc.